It has been so hot the past two weeks and we have just not had very big appetites as a result. Dan and our middle boy have been off at Boy Scout camp so the oldest two and youngest and I have been eating a little lighter. Soup typically seems like a winter thing and the hearty minestrone with potatoes and carrots is perfect to warm you up but I decided to bring the summer garden into play and make it a little lighter. I started with beans... 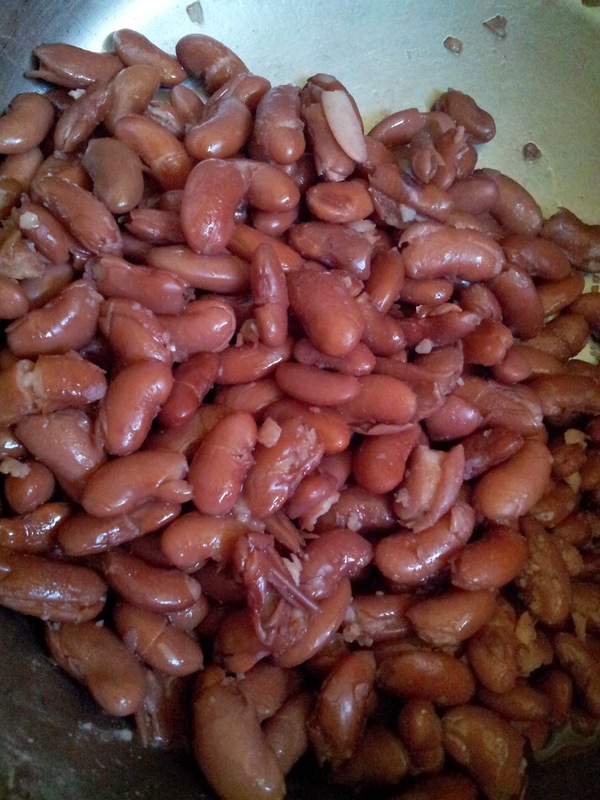 I cooked Kidney and Navy beans ahead of time to add as I made the soup. 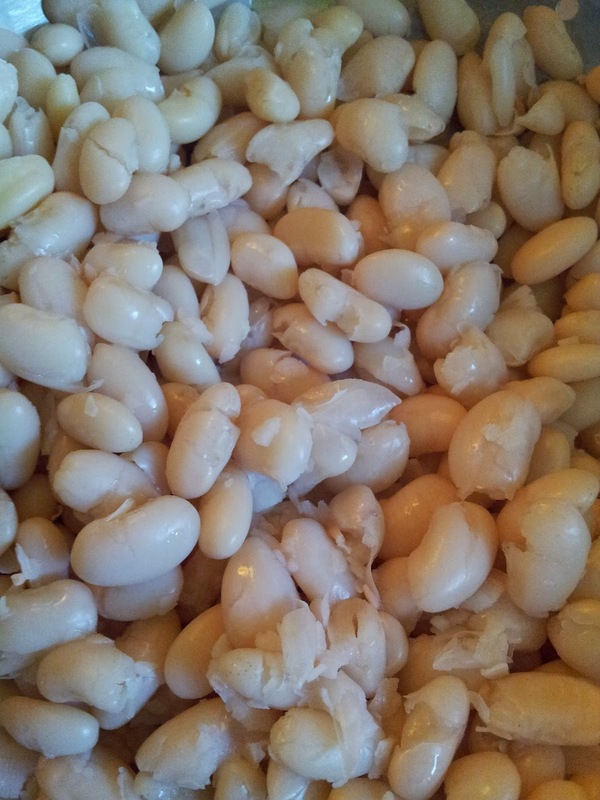 You could choose a smaller white bean but I had Navy beans on hand so that is what I used. Kidney beans are hearty and nice in this soup but if I had Cranberry beans on hand it would have worked just as well. They both cook up nicely and give the soup substance. 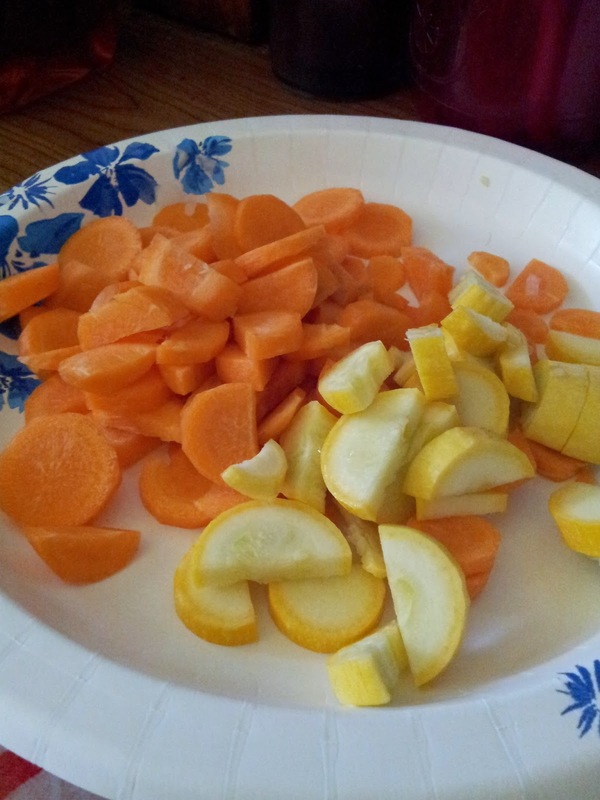 From the garden I had yellow squash and carrots so they got added. I also added onion but did not have celery on hand. Celery would have been a nice addition so if you have it use it. The classic Mirepoix is 2 parts chopped onion to 1 part carrot and 1 part celery and that is a good base for this soup. 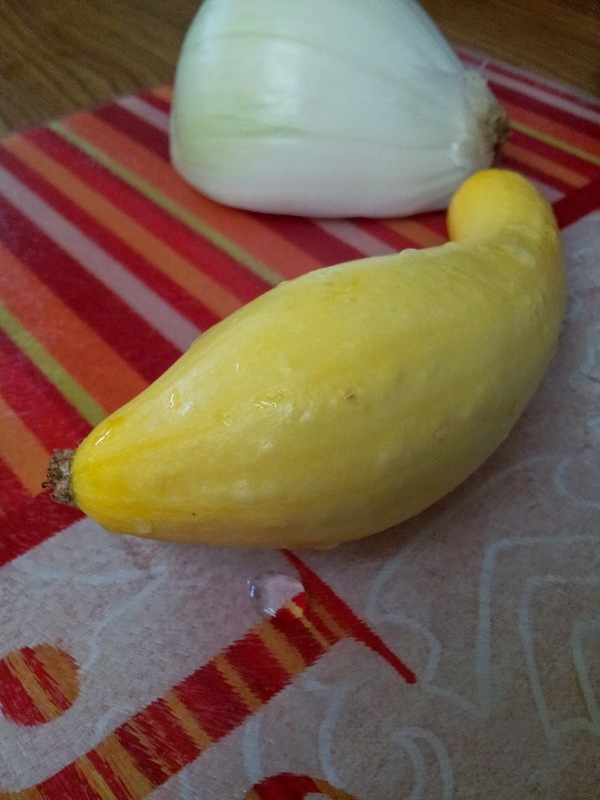 Zucchini would have worked in place or in addition to the yellow squash. I added a can of crushed tomatoes... a larger can (24-32 ounces works) and a can of tomato sauce. I added water to cover it all and brought is to a simmer or you can just cook it in the crockpot for a few hours before serving. If you want you can use chicken or vegetable stock but I just used water with the tomato products. 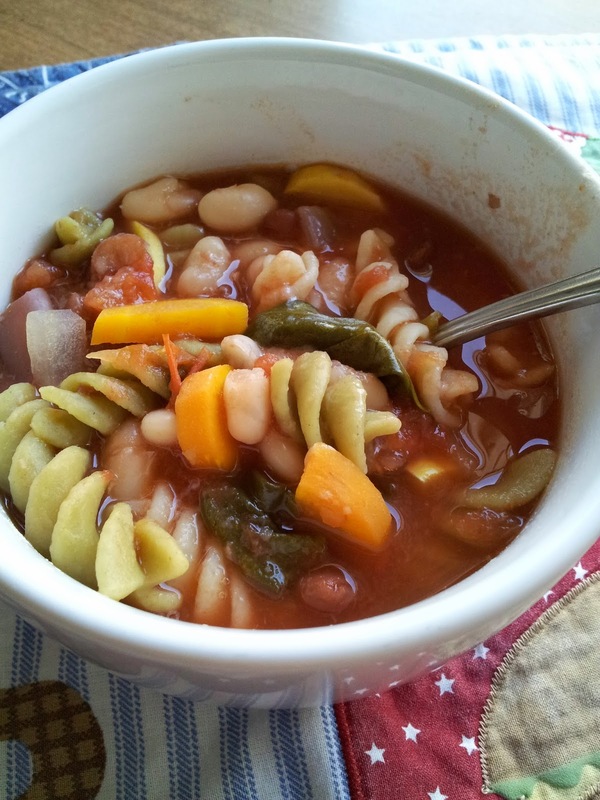 The classic winter Minestrone would have potatoes as a starch but for the lighter version I added pasta. You can add wheat or gluten free to this particular recipe based on your preference or need. I added it just before serving to let it get soft but not soggy. 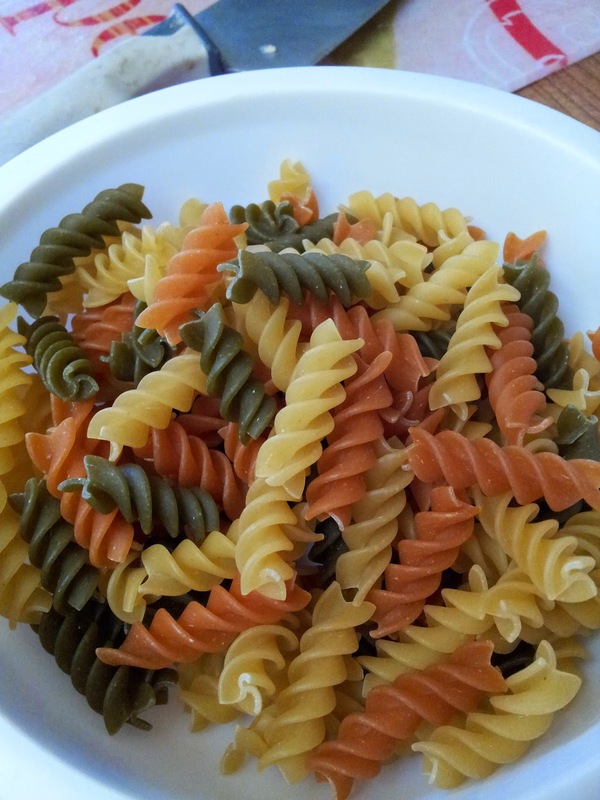 If you make a big batch you may want to only cook pasta into the part you are eating right away and then add pasta to following leftover batches to keep it just the right consistency for serving at the time. 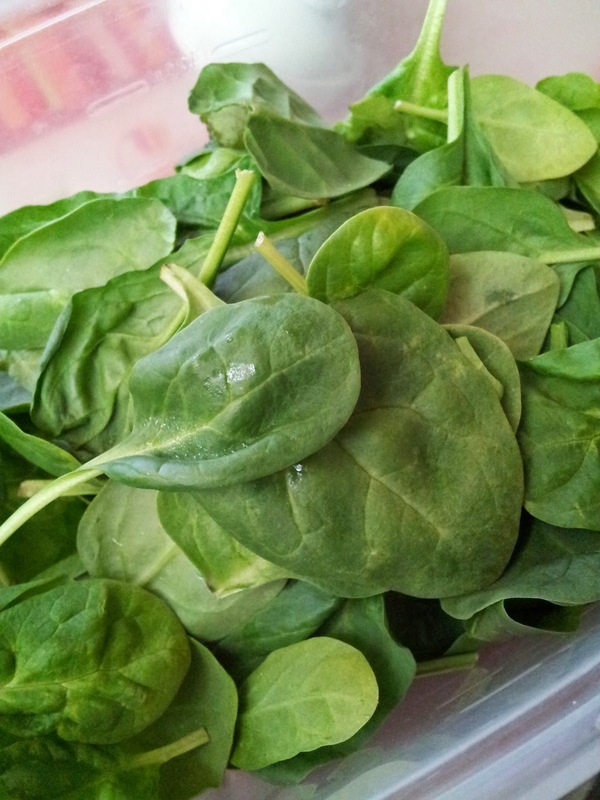 I also added clean raw spinach about half an hour before serving to let it wilt nicely but not overcook. The sky is really the limit with this one... you can add pancetta if you want to add meat but for this veggie variety I just used beans as the a protein source. Whatever veggies you have on hand would work... Brussel Sprouts, green beans, broccoli, etc... all add a nice chunky texture. Let me know if you make it and what you think!